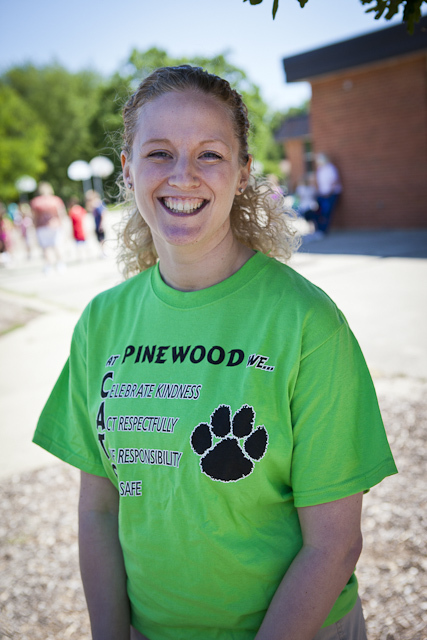 New principal, Rachael Postle-Brown, enjoys Pinewood’s Field Day. If there’s one thing that Mrs. Rachael Postle-Brown is passionate about, it’s seeing students who are involved in their learning, who are engaged, and who are having fun. As Donna Bergeon retires, we welcome Rachael to the Pinewood staff and are eager to graft her into the JPS family. Mrs. Postle-Brown received her undergraduate training at Kalamazoo College where she also completed a semester abroad, studying Spanish in Madrid. From the halls of K-College, Rachael continued on to student teach in Portage before working in Huron Valley Schools’ K-12 Expulsion Program. Her work in the Expulsion Program opened the doors for Mrs. Postle-Brown move into a Teacher-Leader and Strategic Planning position within the district. This role allowed her to experience the best of both worlds: half-days of teaching and half working on curriculum, professional development, and long-term planning. After five years in the Teacher-Leader position, Rachael moved to Charlotte schools where she invested four years as an assistant principal. But we all know that the public side of educators only tell half the story. Mrs. Postel-Brown is also a wife, mother, volunteer, and coach. She has two daughters: one who is going into first grade and another who is two-and-a-half years old. She enjoys working at her local library, teaching Wednesday night Bible class at her church, and taking her girls to dance and soccer. With this busy life she still finds time to continue her own education and is even contemplating a PhD! As for the coaching, it’s a little known fact that Rachael led an alternative high school boys basketball team to the state semi-finals! 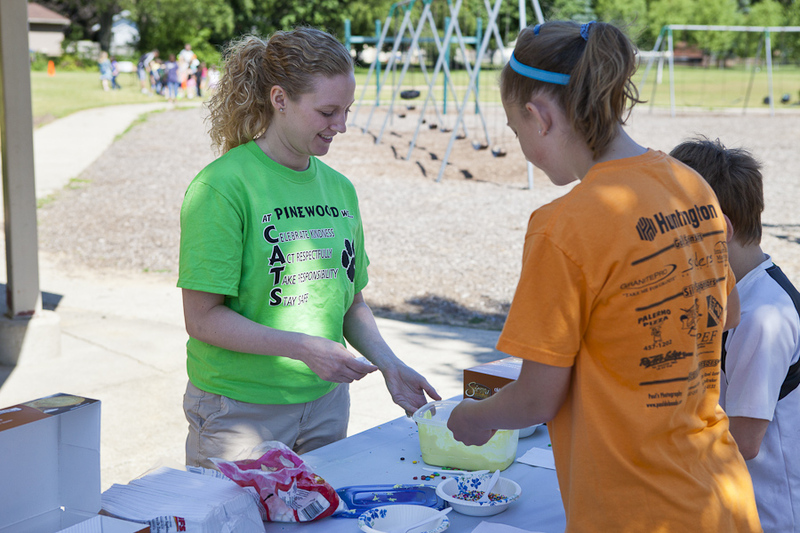 Mrs.Postle-Brown has already added to the Pinewood story by taking part in their spring field day where she was able to interact with students, meet parents, and even decorate a few cookies. If you see Rachael around the district, please introduce yourself and offer the kind welcome that makes Jenison feel like family! Welcome to Jenison, Rachael!!! Our kids are very excited to get to know you! Thank you to the Jenison community and district for the wonderful welcome I have received. I am very excited to officially start my work at Pinewood and get to know everyone. We’re thrilled to have you, Rachael!